In an early morning of May 2017 before a visit to Phillips State Prison, I had a waking dream. It would be my first visit to the men’s facility, and I was nervous I would forget some of the artwork I was delivering to students there. In the dream, I arrived at the prison only to discover that I had left the literary broadsides an hour behind at home. As I rushed in to explain my predicament to Sarah and Bill, I found myself in a women’s facility. I was thrown; not only had I forgotten the artwork but I was clearly in the wrong place. And then I awoke. 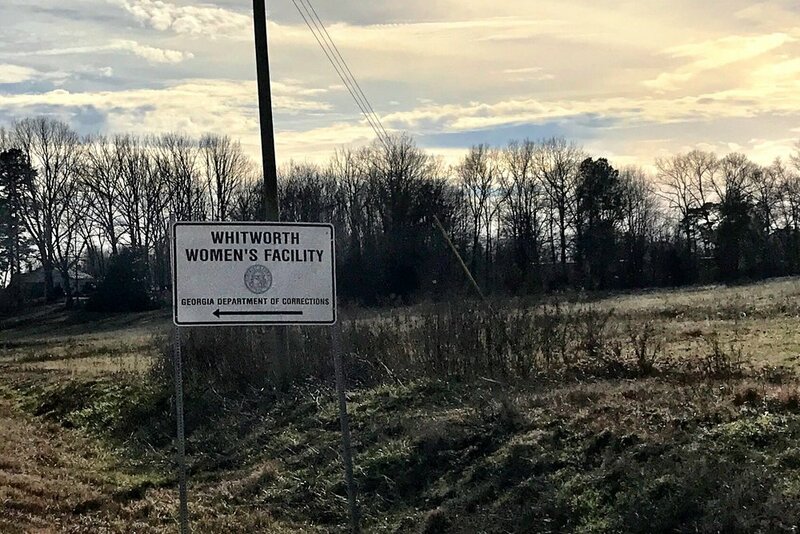 364 days later, I found myself making my first visit to Whitworth Women’s Facility in Hartwell, Georgia. Common Good Atlanta had done much growing over that last year, and I found myself exactly where I was supposed to be. Before the final week of class, I received a call for submissions to a feminist avant-garde postcard project, seeking input on a theoretical alternative to the traditionally masculine, exclusive avant-garde movements of modernist art. How could this developing writers' collective at Whitworth not be included in this conversation? I pitched a collage-like response to the class, and the women responded enthusiastically. What this required was their permission for me to cull and curate a collective response out of the poems and essays individual students composed. The understanding was that this response would not be singular, but a unified greeting from the women as one creative spirit. The result is unfiltered expression from each woman woven into one unified hello. Writing has generated a powerful community at Whitworth; they are motivated and ready to inhabit the perspectives of historians, visual artists, philosophers, and theorists as the year unfolds before them. It was one big wow of a summer for me, and I offer you this link to their introduction: Post(card)s: En Dehors Garde Flash Mob. You will find them in good company.